"Thanos is robbing a bank!" 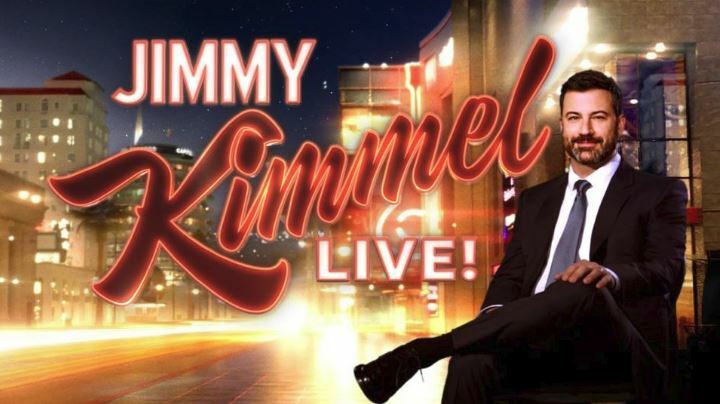 - Tom Holland appears on JIMMY KIMMEL LIVE in the new Spider-Man outfit! We've brought you a lot of SPIDER-MAN: FAR FROM HOME news lately. Exclusive photos of the sets from the climax of the film and then several spy videos of Tom Holland in a new "stealth" Spidey outfit and Jake Gyllenhaal in his Mysterio gear. One thing we missed were shots that were leaked out of Holland in a new red and black costume. Well, last night on "JIMMY KIMMEL LIVE!" we got a look at the new outfit in detail when Holland showed up to "confront" Kimmel's security guard/sidekick Guillermo. It's a funny little skit and it illustrates pretty well what a note-perfect Spider-Man Tom Holland is.